Ever wonder why it seems that so many shots on goal are shot directly at the goalie? Sure it could be that the goalie is in a good position. But I am of a different opinion. I believe the main reason is due to which part of the foot is used to strike the ball. 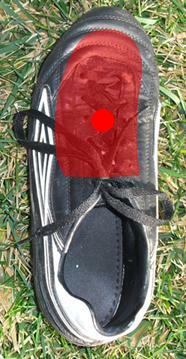 Oftentimes, the instep (also known as the top-of-the-foot or laces) is used to shoot on goal. 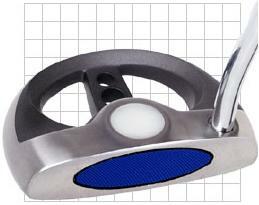 The main reason to use the instep is to produce a more powerful shot. A strong shot is great but if it is shot directly at the goalie, what is the point? Players will often get frustrated at themselves when kick after kick goes directly to the goalkeeper; yet this keeps happening. What is going on? 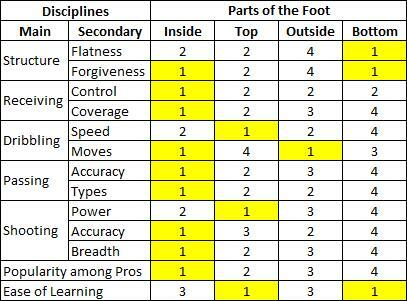 I consider myself an expert when it comes to using and understanding the importance of the inside-of-the-foot. I invented a soccer training device called Loopball which teaches players to use the inside-of-the-foot. You will see many more posts in this blog about Loopball and the importance of the inside-of-the-foot. For the purposes of this post, I believe the problem lies in the fact that shots with the instep require much less thought than shots with the inside-of-the-foot. Instep shots require brute strength. Inside-of-the-foot shots require forethought and placement. The direction a ball travels can normally be traced back to the position of the plant-foot toe. 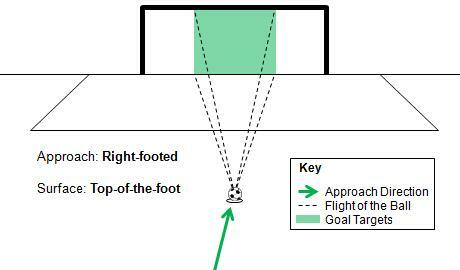 For shots on goal, this toe is usually pointed at the middle of the goal. When an instep kick is well struck, it will travel in the direction that this toe is pointing which is where the goalkeeper is likely to be standing. It is usually the poorly-struck instep kicks that stand a better chance of going in. 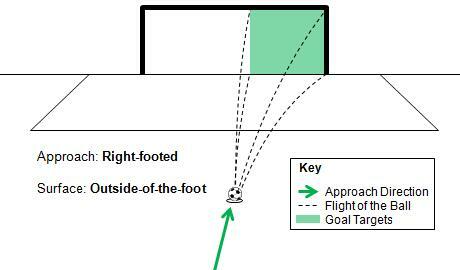 The same logic can be applied to shots with the inside-of-the-foot, but because more forethought is given with this type of shot, the kicks don’t always head for the middle of the goal. 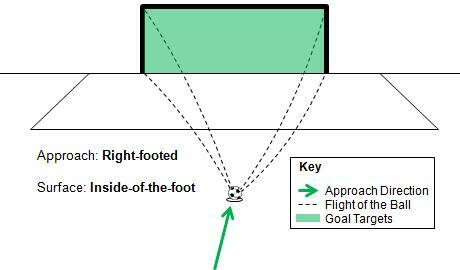 Using the inside-of-the-foot requires the player to think which side of the goal to aim for and whether or not to curve the shot around the defenders or goalkeeper. From long distance, I definitely recommend using an instep kick. But when the ball is closer to the goal, have your players use the inside-of-the-foot and have them think about the kick. You’ll also be surprised how much force this type of kick can generate when struck well. The top players in the world usually use the inside-of-the-foot to score goals, especially with free kicks. David ‘Bend-It-Like’ Beckham certainly does and he is quite successful.